NOTE: Controls below. Some features are not yet available in the Game Jam build. 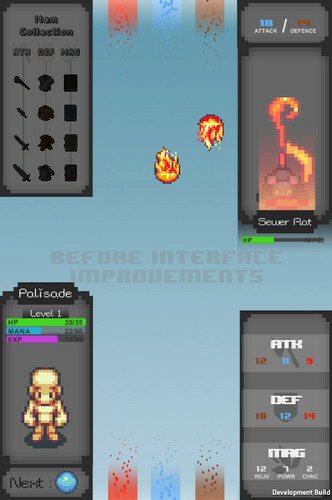 These include the Item Collection, How To Play, 'Back' on the Development Log, and the death/win screen. To play, you must shoot elemental projectiles to thwart your enemies. Do this by holding the mouse button down for more than .25 seconds. If an enemy projectile is about to collide with your player (bottom of the screen) you can quickly single click to swap around your defense elements. Match the enemy projectile to the defending element to reduce damage. Keep an eye on your defences - if an enemy projectile hits its opposition element, it will trigger a critical hit! The Rebel Slime Militia advises that you keep an eye on your mana as you change defences or shoot projectiles. 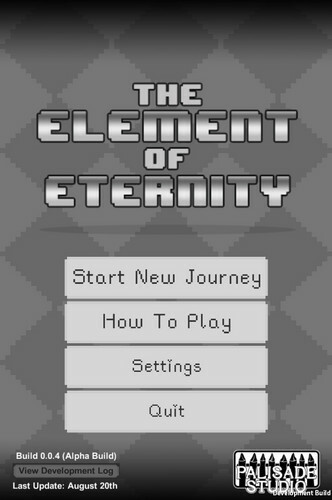 The Element of Eternity is a 'duel-based' 2D PC game that places you on the saddle of a poor adventurer who must battle through tiers of monsters in order to level up and improve their dominion over the elements - as well as collect gear to protect yourself against his foes. The vast environment of species on the planet have also unearthed the magic behind conjuring the elements of land, fire, and water. Now it is your chance to harness the power it brings. The game was initially created as an entry to the "One Button" Game Jam but is continuing development for casual gamer's and will update regularly with new features, game modes, and challenges. The One Button functionality will also be expanded upon as development continues. 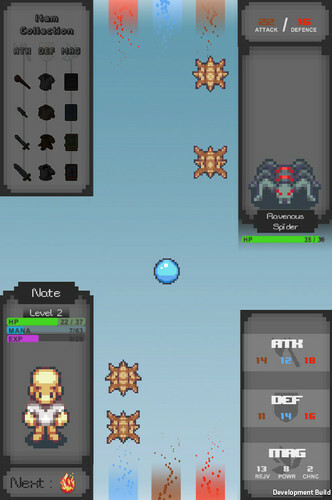 More monsters, more items, expand to 4 lanes. Story to encapsulate the campaign and element features. Huge UI Overhaul & Organization.